Leading hotel brands gain market share by getting to know their customers, offering personalized services, and encouraging direct bookings to increase profitability. Guests enjoy a memorable experience not just because of the unique style or ambiance of the hotel itself but also because of the seamless flow of information that simplifies and enhances every aspect of their visits. NES Communications delivers these exceptional guest experiences with the best in breed solutions for innovatively meeting traveler needs. 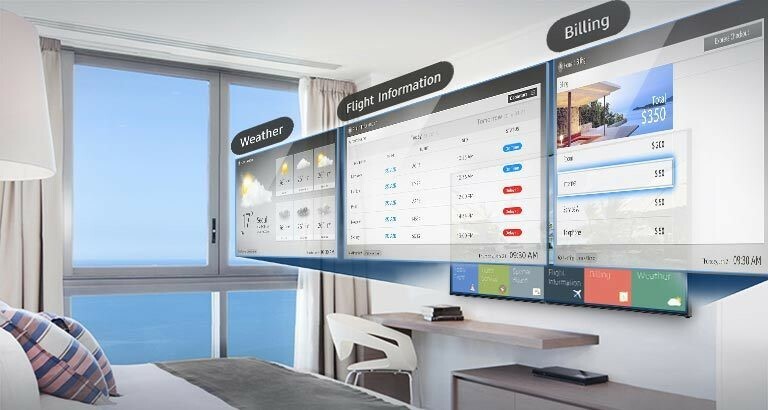 Hotel guests expect high speed Internet access on multiple devices, integrated and automated rooms, highly responsive IPTV and VoD solutions, possibility to follow events from the room or see the hotel informations while waiting in front of the elevator. Implementation of hospitality solutions can be done in stages and the pace is determined by the investor. Depending on the size and category of hotel, existing infrastructure, and the available budget, we can deliver subsystems that are most appropriate for specific situations. If you need tamper proof, remotely managed, guest rooms, business centers and other public spaces, preloaded with all of the software guests needs – you are at the right place! As one of the top companies in the region when it comes to HSIA business, NES Communications offers the most trusted high-speed Internet access (HSIA) and our solutions are successfully implemented in top hotels in the region. As well as providing the best service, you will want to improve your opportunities for revenue where possible. With a quality Internet and Intranet solutions, you can vastly improve your chances at increasing customer spending. NES Communications provides services as easily as possible, so you can expect to your profits soar as never before. Telephony solutions include all of the functionality you need – comprehensive wake-up management, voicemail, auto-attendant services as well as PMS interfacing. NES Communications offers long-established telephone systems that promises to upscale the quality of any hotel or hospitality provider. With a number of features, services and products on offer, there is a lot to consider.